Ladies, please join us for an evening at the Brew Camp Classroom. This month we'll be focused 100% on Craft Cider! 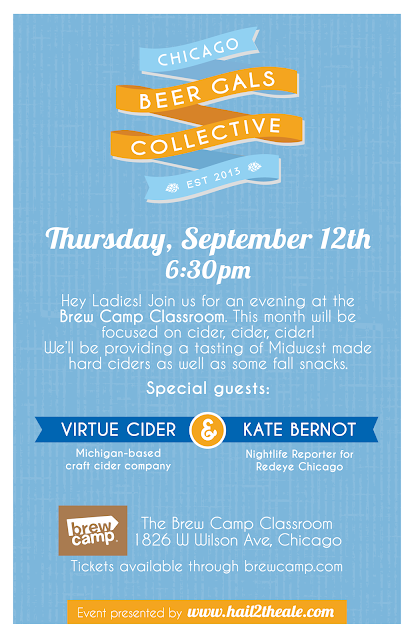 We’ll be providing a tasting of Midwest made hard ciders as well as some fall snacks. Have questions about the event? Want to be a future guest speaker? Feel free to email me.